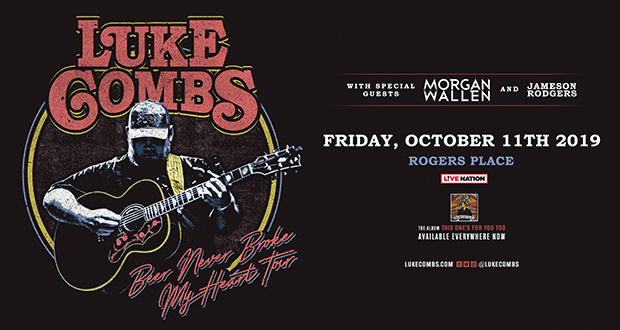 CMA and ACM Award-winning musician Luke Combs will extend his sold-out “Beer Never Broke My Heart Tour” through this fall. The newly confirmed dates commence September 26 at Rogers, AR’s Walmart AMP and span through the end of the year culminating at Nashville, TN’s Bridgestone Arena on December 13. Special guests throughout the tour include Morgan Wallen, T and Jameson Rodgers.